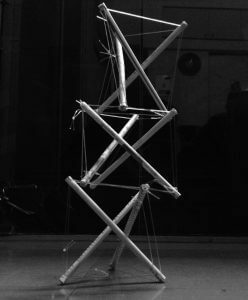 Tensegrity, (tensional Integrity) or floating compression is a structural principle based on the use of isolated components in compression inside a net of continuous tension, in such a way that the compressed members do not touch each other and the prestressed tensioned members delineate the system spatially. Kennith Snelson – an artist/innovator first demonstrated this principle with a series of sculptures. 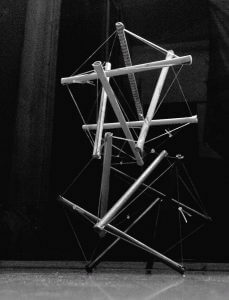 Buckminster Fuller in the 1950s officially coined the term tensegrity and tried to incorporate it’s principles in his work. 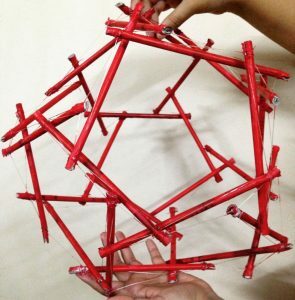 This type of a structure uses two components: tendons (members in tension) and struts(members in compression). This principle can be compared to the structure of the human body where the skin, muscles and connective tissues are the tensile members and the bones are the compressive members. A skeleton cannot stand on it’s own without wires or links connecting it. The muscles and connectivity tissues are what hold the bones in place. They also provide appropriate spacing between the bones so as to not wear them out because of friction. As an exploration of this principle, I started with a simple 6 strut module and then worked towards making a three strut module tower. This also led me to explore two different types of cuboid modules and a 30 strut dodecahedron! No two struts are touching each other. 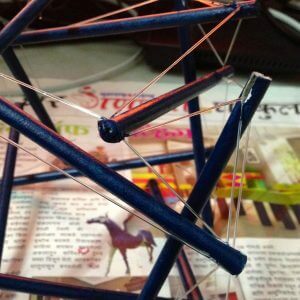 The struts are held in place using tensile strings and form a slightly wobbly but stable structure, much like a human body! The applications of this principles are quite varied. 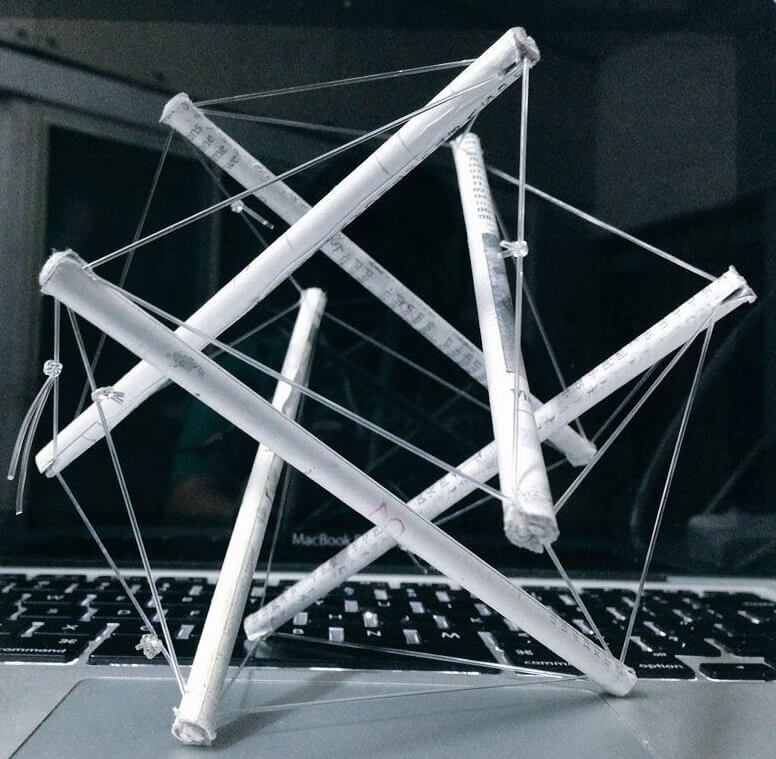 The structural applications of tensegrity includes bridges, large span domes, towers and it can be used to create folded and deployable shelters.